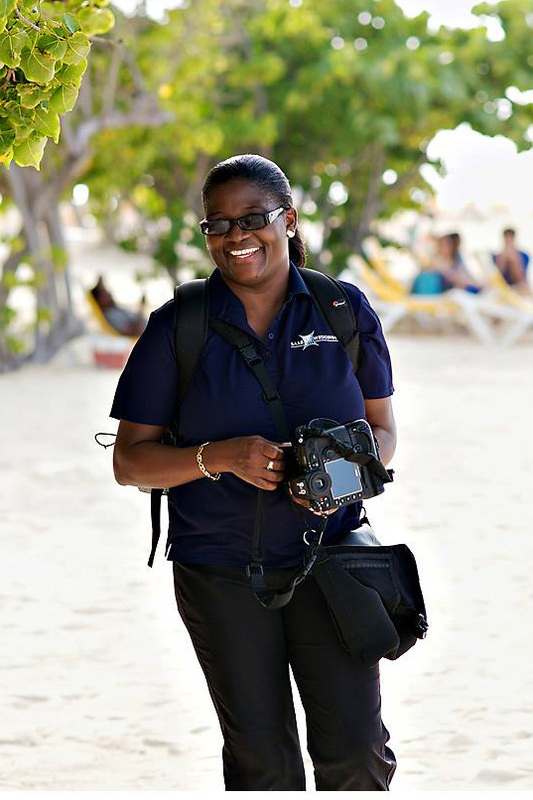 Located in Montego Bay, Jamaica, Saab Weddings consist of five Photographers. Michael and Olive Saab and three Associates Photographers Christopher Ellis, Chantal Chandon and Kevin Russell. Michael is undoubtedly one of the most experienced wedding photographers in Jamaica with over 25 years of photographic knowledge and over 1000 weddings under his belt. 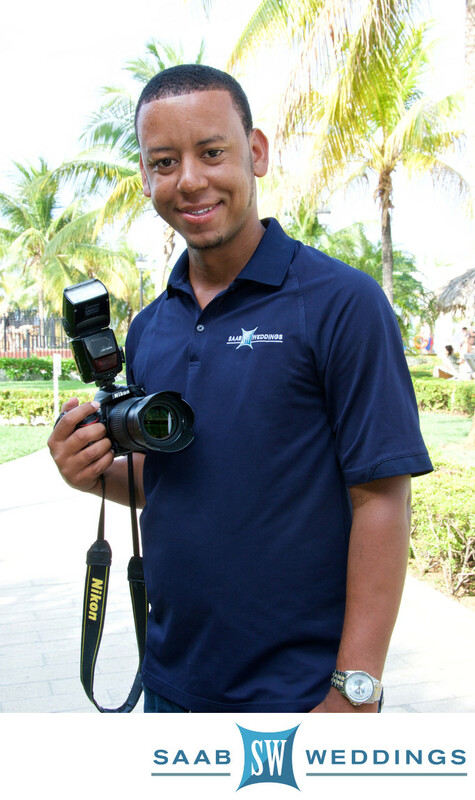 Michael learnt photography while serving in the Jamaican Military (Jamaica Defence Force). He is the main photographer at Saab Weddings and his work has been published in a number of international magazines. "I love LOVE" is one of his favourite quotes and it is that love of love that inspires and motivates him to be a creative wedding photographer who love capturing real moments in an artistic way. Michael is fun, creative, attentive to details, committed to his clients and always gives of his best at every wedding he shoots. 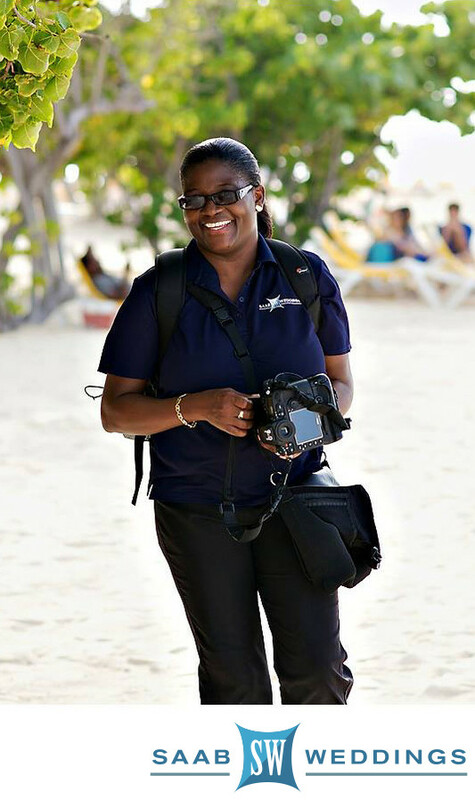 An experienced photographer in her own right Olive has been shooting wedding for over 10 years and has photographed well over 500 weddings throughout Jamaica and the Caribbean. Olive started out by accompanying Michael to weddings. She soon discover that she had a love and knack for wedding photography so she resigned her job at Mount Alvernia High School to join her husband. Olive is very thorough in her approach to wedding photography. She pays close attention to details and enjoys being creative. Christoper also started by attending weddings with Michael over 12 years ago first as an assistant and then as a photographer. Christopher has since grown in creativity and innovation and continuously captures images that delight our clients. Christopher is skilled and experienced in capturing the best moments and has garnered a well rounded scope of different types of wedding photography. One of the main reason for doing wedding photography is that he loves to see the happiness of families coming together as one. 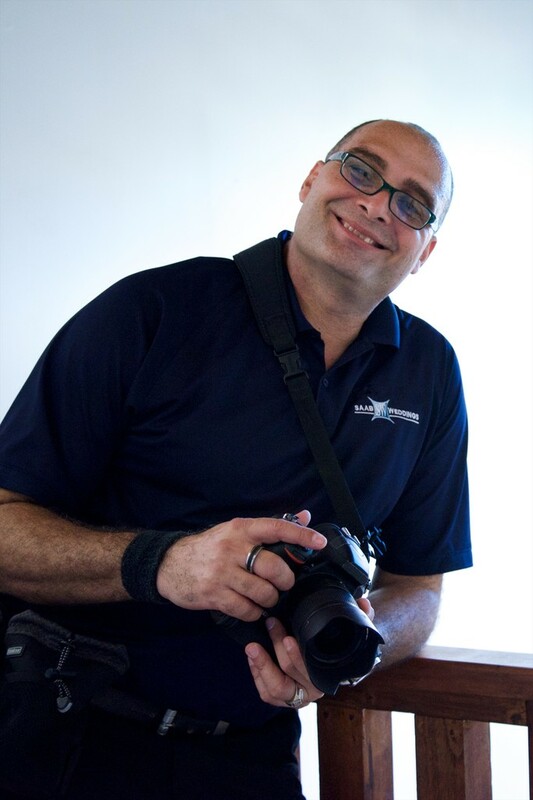 Christopher is very passionate about his photography and is always desirous of pleasing his clients. 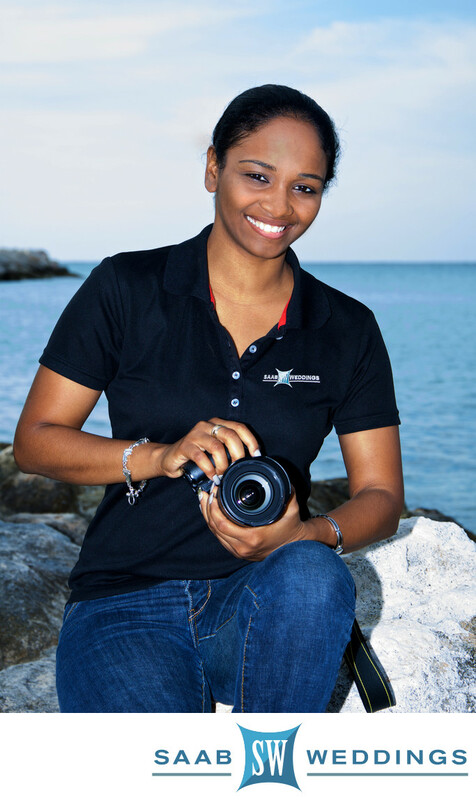 Chantal joined the Saab Weddings team in 2010 as an Associate Photographer however she has been in the photography field since 2005. She brought with her a work ethic that is second to non and her talent as a creative wedding photographer has grown in leaps and bounds. Chantal is a people person who enjoys a good wedding reception party. You may even find her on the dance floor busting a few Jamaican dance moves. Chantal is fun, kind, hard-working and one of the friendliest person you will meet. She enjoys new things and loves meeting new people. Saab Weddings is honoured to have her as part of the wedding photography team as she continues to capture sublime images to fit the style and personality of our clients. Kevin is the latest addition to our team, joining us in 2016, however he brings his own experiences to the table as he has been a photographer shooting weddings for over 10 years. Kevin has photographed over 300 weddings and is easy going and gets along tremendously with his peers and clients alike. As Kevin love and passion for photography deepens he believes it is important to pay keen attention to details and he strives to meet and exceed the expectation of his clients. 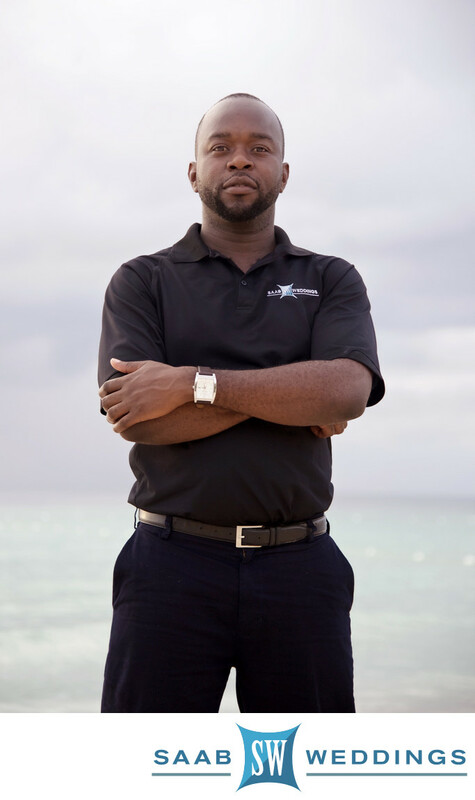 Since joining our team Kevin has proven himself to be resourceful, self motivated, pleasant to deal with and committed to learning as he continues to grow. At Saab Weddings our aim is to capture authentic storytelling images as your special day unfolds. We shoot in a discreet and unobtrusive manner always watching and waiting to capture those unique and natural moments that makes your wedding distinctive. Our style can be described as fun, modern yet classic, creative, artistic, editorial and photojournalistic. Always committed to going the extra mile, our love for weddings mixed with our passion to create beautiful and distinctive images makes us the perfect choice to capture your special day. We provide wedding photography services throughout Jamaica including Montego Bay, Negril, Ocho Rios and Port Antonio and are recommended vendors at Round Hill Resort Montego Bay, Rockhouse Resort Negril, Tryall Club Montego Bay, Half Moon Resort Montego Bay, RIU Montego Bay, RIU Reggae Montego Bay, RIU Palace Jamaica and Rosehall Great House Montego Bay.